The success of a business often depends on how easy the shopping mechanism is for the end user. Whether you are selling goods online, or in a conventional store, at the end of it all the payment system has to be hassle-free and easy to use, otherwise you may end up losing customers in no time. 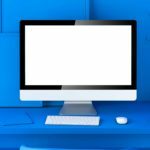 Particularly if you are into e-Commerce, there are certain things that you needn’t (or perhaps can’t) run through your staff support desk — electronic payments top that list. Whether you’re selling your products in online marketplaces or on your own website, you need a mechanism to receive funds. This is where a good payment system comes in handy. A ‘payment gateway’ basically works as a middle man between the merchant and his/her bank on one hand, and the merchant and his/her clients on the other. Unlike a payment gateway, a ‘payment processor’ is basically an anti-fraud mechanism that aims to protect both the buyer and seller. It is especially helpful with card transactions. Ease of Use: a payment mechanism should be easy to use. In other words, it is not a good solution if it requires a degree in rocket science in order to transfer funds to and from your bank account. Reliability: you will surely not want your payment system to grab your money then disappear overnight. Along similar lines, it will not be helpful if your customers attempt to pay you, only to find out that the payment mechanism is experiencing “technical issues” and will be “back shortly”. Affordability: the service fee and/or commission charged by the payment system provider should not be too high. It must also be noted, that more often than not, your country’s monetary policy will have an effect on the type of service you get from your payment service provider. You may be asked to furnish a tax payer’s proof of identity, a statement from your income tax department, and so on. Plus, the amount of money you can transfer to and from your online account also depends on how open (or closed) your country’s monetary norms are. 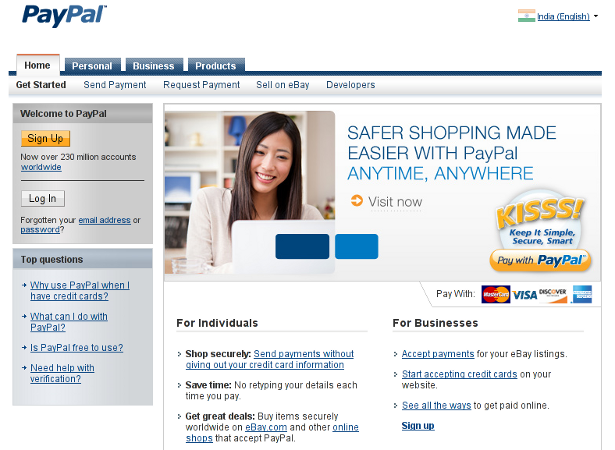 PayPal is one of the most popular online payment services. It is well known as a reliable, budget friendly and user friendly method to transfer, send and receive funds from different parts of the world. With over 230 clients, PayPal allows you to market your products and services online and receive the funds directly into your PayPal account, which can later be withdrawn to one’s bank account. There is no monthly or setup fees in general, and the fee per transaction depends on the country your client is based in. In general, the fee is 2.9% plus $0.30 per transaction, though it can change over time and on the basis of the country you are based in. 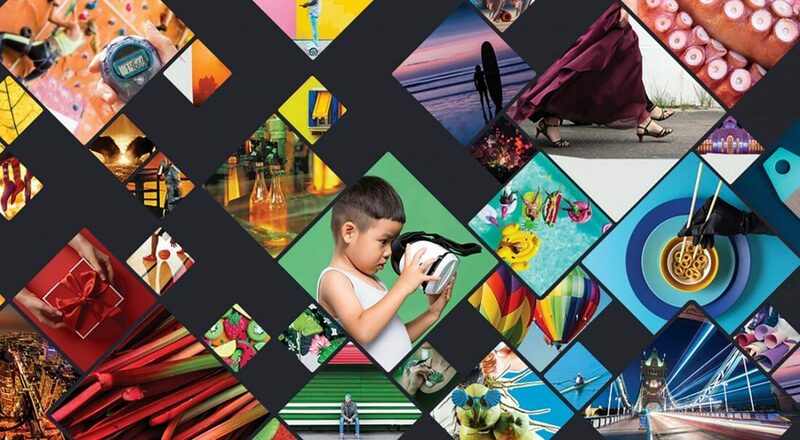 For a complete overview of the pricing structure, visit this page. Authorize.net helps you accept credit card payments in a fraud-free and secure environment by running a series of processes and anti-fraud steps to ensure that the credit or debit card being used to make the purchase is valid and genuine. 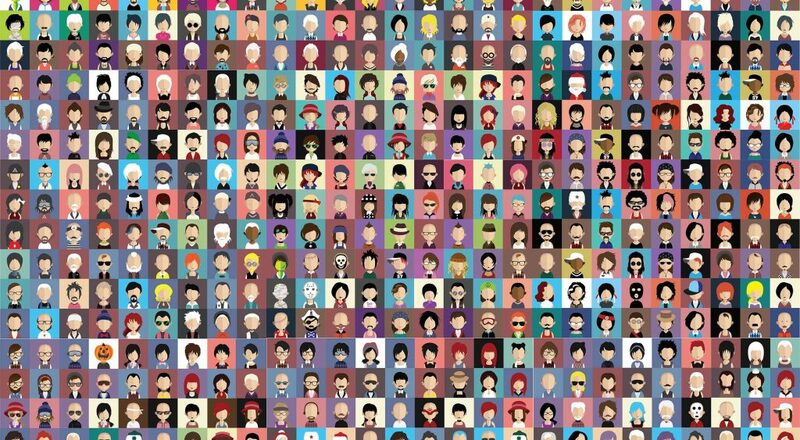 It is easy to use and is very useful in protecting the identity of both the seller and buyer. It comes with mobile apps and tools for recurring billing, automated billing, detailed invoices, etc. 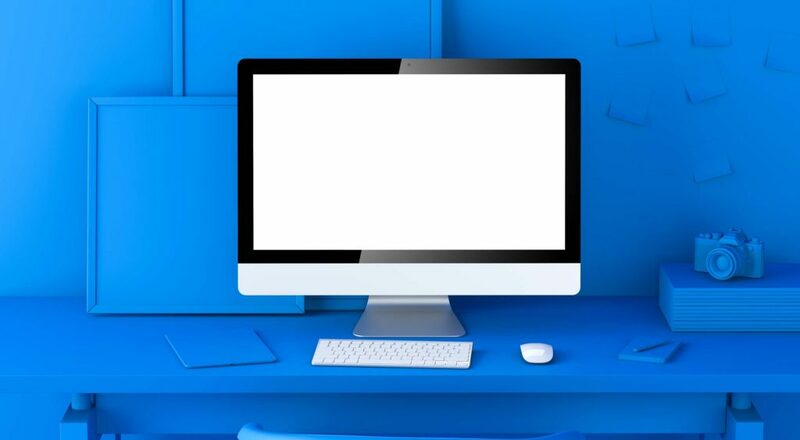 In terms of pricing, Authorize.net has a monthly fee of $20, along with a processing fee of $0.20 per transaction, followed by a one-time setup fee of $99. 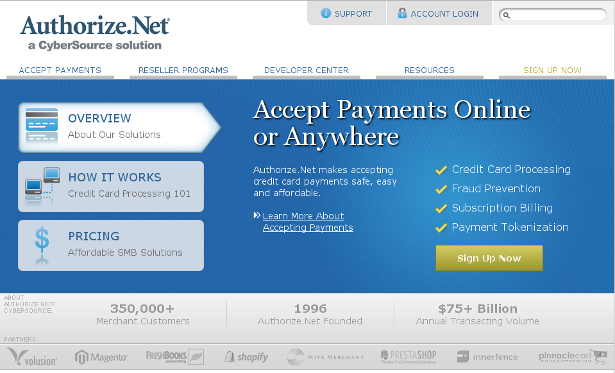 Very clearly, Authorize.net is not as budget friendly as PayPal. 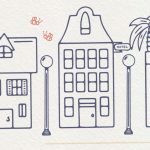 Unlike many others, Dwolla is a rather simple and no-frills payment system – sending any amount of money to any corner of the world is totally free. If you wish to receive payments under $10, you will not be charged any transaction fee whatsoever. For any transaction above $10, you are charged a transaction fee of $0.25 Sounds pretty affordable, doesn’t it? 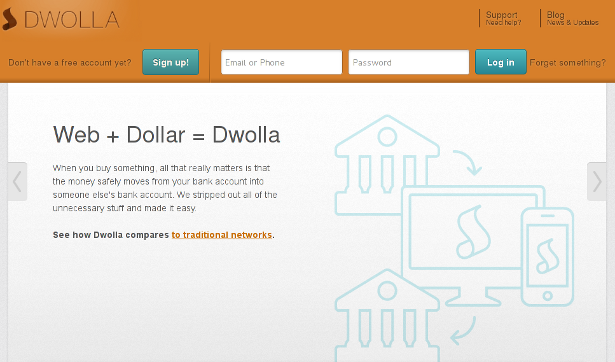 In fact, Dwolla is one of the most budget friendly payment options out there! Google Checkout lets you pay for goods and services using an account linked to your Google profile. While Checkout is not the most popular service out there, it has a definite advantage because numerous users rely on Google for their internet needs (if you have GMail, you have a Google account, and you can use Checkout right now, if you so desire). When it comes to pricing, the transaction fee decreases or increases on the basis of monthly sales volume. Also, Checkout is still not available in certain parts of the world. 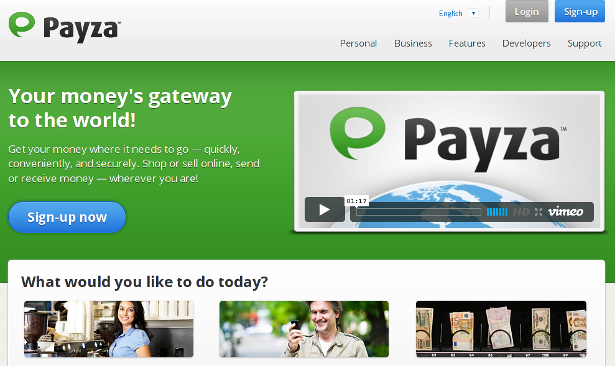 PayU India, as the name suggests, is a payment gateway for merchants based in India. It lets you accept payments from credit and debit cards of different brands. Further more, PayU India offers detailed statistics and analytics for your transactions to help you assess the profitability of your online business. 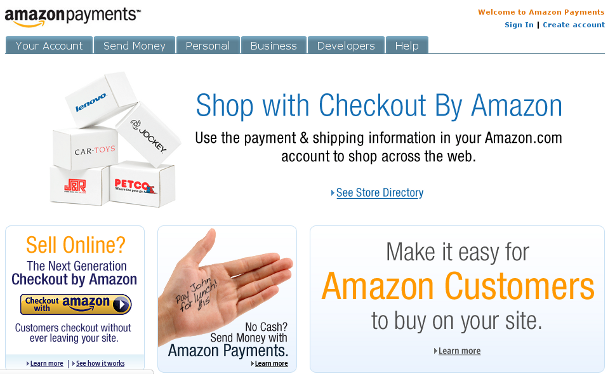 Amazon Payments lets you receive money using its API. The fee is 2.9% plus $0.30 per transaction (for transactions over $10), and the percentage decreases as the amount of transaction increases, so that the transaction fee is inversely proportional to the amount transferred. You can find out the detailed pricing structure here. 2Checkout is a very popular online payment service. You can receive payments from all around the world. If you decide to opt for a merchant account, you also gain access to a payment gateway which can be easily integrated within your website to help you receive payments from your clients. Another amazing feature is the fact that 2CO supports all major e-Commerce platforms, thereby allowing easy setup and deployment on your website. WePay lets you accept credit card payments from your clients and customers. 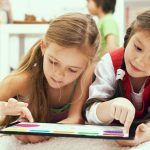 It also comes with several tools such as invoices, event registration and ticketing as well the ability to raise money for charities and non-profit organizations. You can setup your own online store or even marketplace using the WePay API. There is no monthly cost or setup fee, and the transaction fee is 3.5% for card payments. It should be mentioned that in order to receive payments via WePay, you should be a US resident. 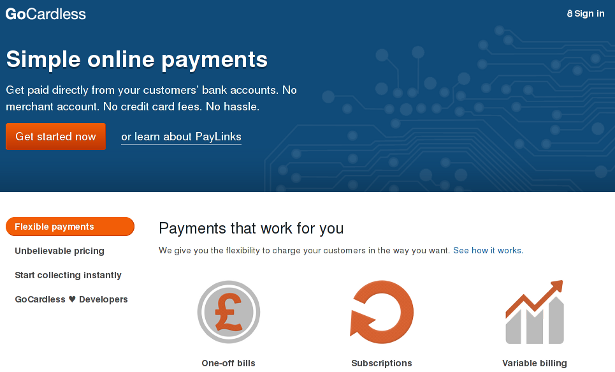 Payza (formerly known as AlertPay) is similar to PayPal in its mode of functioning. You can send and receive money to and from over 190 countries, and Payza also offers several anti-fraud measures. There is no setup fee, but withdrawing funds and currency conversion can cost you money. 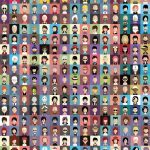 You can find the detailed fees structure on this page. 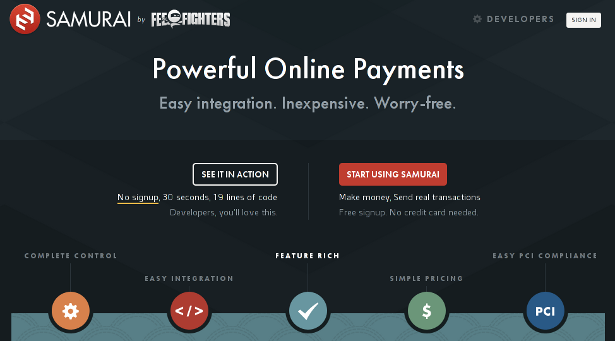 Unlike all other payment gateways, Samurai by FeeFighters is geared more towards developers, to the extent that its developer-friendly features stand apart from the rest. In order to setup Samurai as your payment mechanism, you simply need to copy-paste 19 lines of code. If you decide to use only the payment gateway, you’ll have to shell out $10 per month, along with a fee of $0.10 per transaction. Alternatively, you can go for the gateway along with the merchant account, which will cost you $25 per month and $0.30 per transaction. BrainTree is an excellent and user friendly payment mechanism. 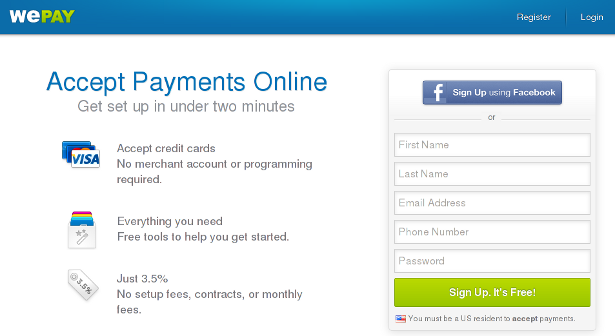 It is easy to setup and deploy, and integrates seamlessly with your existing payment gateway. Sadly, the pricing is on the steep side. There is a $35 monthly fee (with a $75 monthly minimum). Transaction fee for credit and debit cards starts at 2.29% plus $0.30 per transaction. In fact, the fees at BrainTree are more a matter of permutations and combinations, which you can check out here. 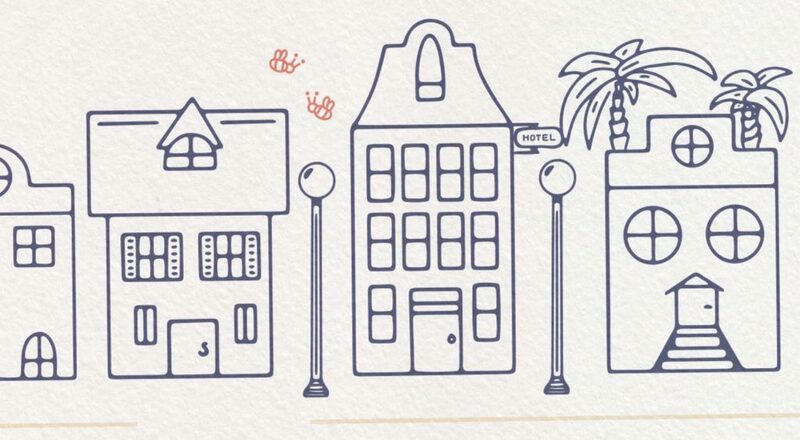 Stripe is a one-stop solution for all your online payment needs. You do not need a merchant account or gateway because Stripe handles almost everything related to online payments, starting with receiving funds from your clients and customers to depositing money in your bank account. For developers, Stripe comes with API wrappers for Ruby, Python, PHP, etc. The fee is 2.9% of the total amount with no monthly charges at all. 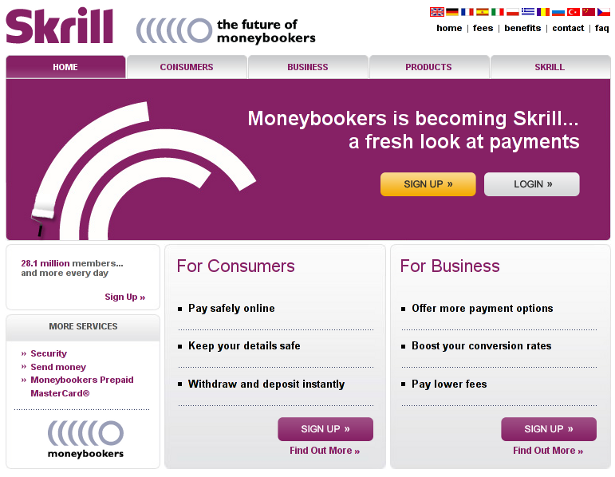 Skrill was formerly known as Moneybookers and is based in the UK. 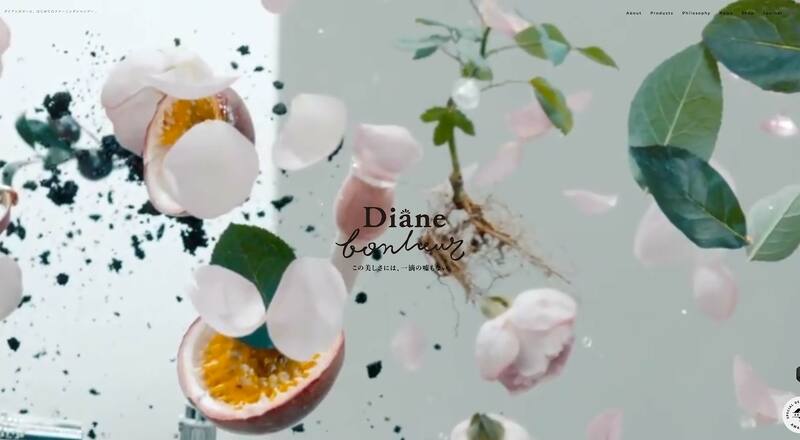 It is similar to PayPal and has certain good features of its own — for a start, it serves over 28 million users, and has been localized into numerous languages. The transaction fees vary on the basis of your country, and there is free transfer of funds to and from several countries of Europe. 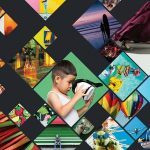 You can find detailed fee structure here. 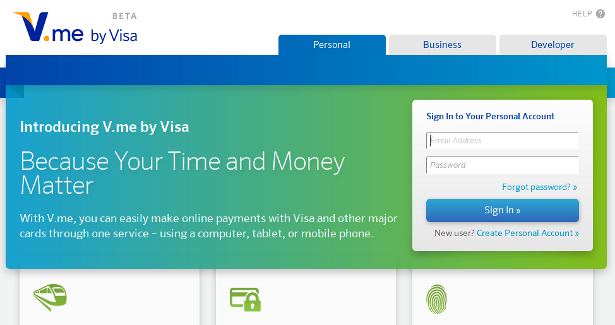 V.me is a payment service brought to you by VISA. You can make online payments using your VISA or any other card in a secure environment. It also has mobile apps to make your life easier. However, you should note that V.me is still in BETA and account creation is only by means of invitation. 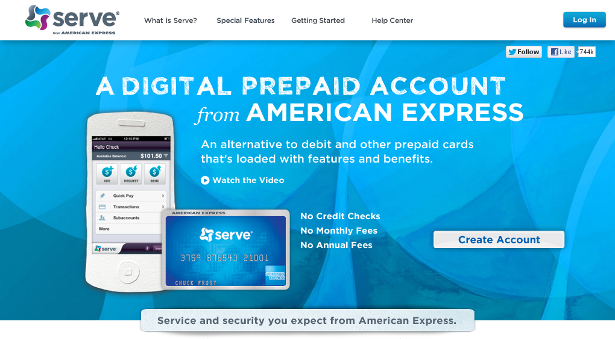 Serve is a counter-part of V.me, brought to you by American Express. You can send and receive money and accomplish all other tasks that you would’ve using your American Express card. 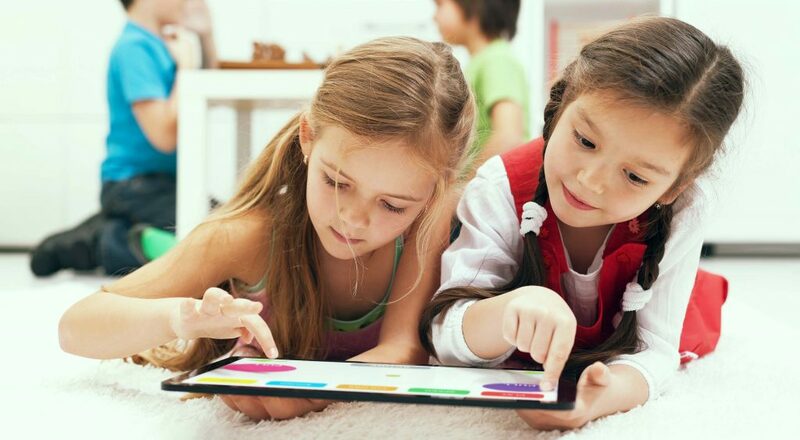 Serve has mobile apps for Android, iOS and Windows Mobile, and also comes with support for Facebook. You can link your bank account or card to Serve — furthermore, it does not come with any monthly or annual fee. 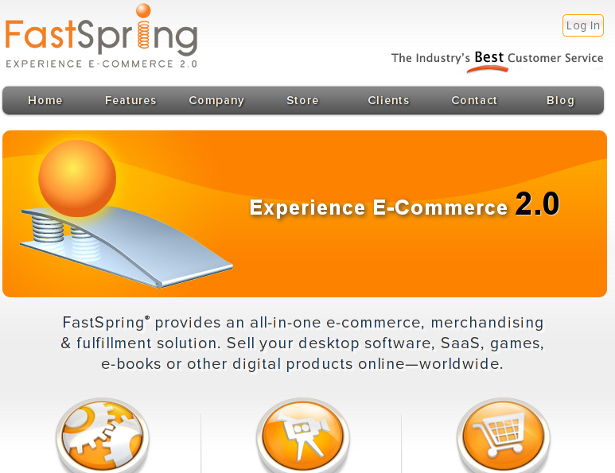 FastSpring is an all-encompassing e-Commerce solution that lets you sell your products and services online and receive payment for the same. It provides you with multiple payment methods, free store setup, localized order pages, mobile apps and several other useful features. Regarding pricing, you can either opt for 5.9% plus $0.95 or 8.9% flat per order. GoCardless does not come with the routine heavyweight terminology — there are no merchant accounts to setup, no credit card fees, nothing. 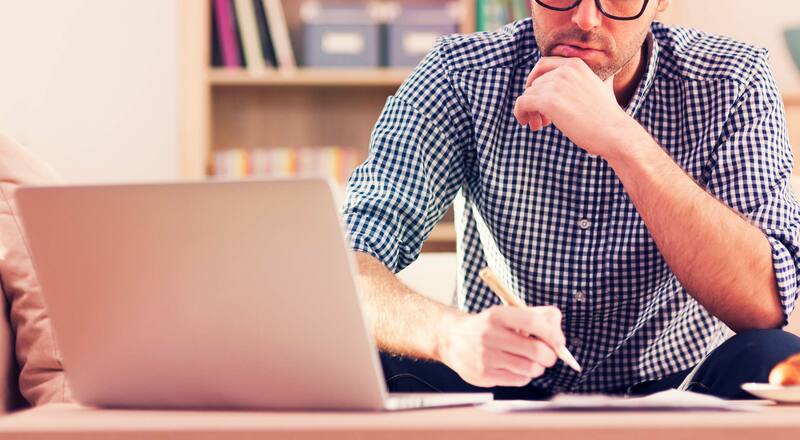 Instead, you are paid directly from your clients’ bank accounts. Best part of it all? There are no monthly charges — you are simply billed 1% of the total transaction, which is way less than any other service. Square lets you accept payments directly through your mobile phone, thereby allowing mobile devices and smartphones to become point of sale checkout systems. There are no monthly fees, and you are charged 2.75% per transaction for major credit cards. 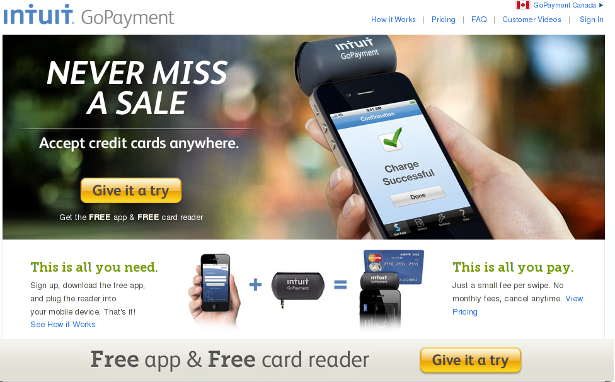 Just like Square, Intuit GoPayment is also a mobile payment solution. Download the free app, plug in the card reader, and you are good to go! In terms of pricing, there are two plans — you can either Pay-as-you-go, which will not have a monthly fee (though the swipe rate will be higher by 1%), or pay a monthly fee of $12.95 and enjoy lower swipe rates. Detailed pricing structure can be found here. 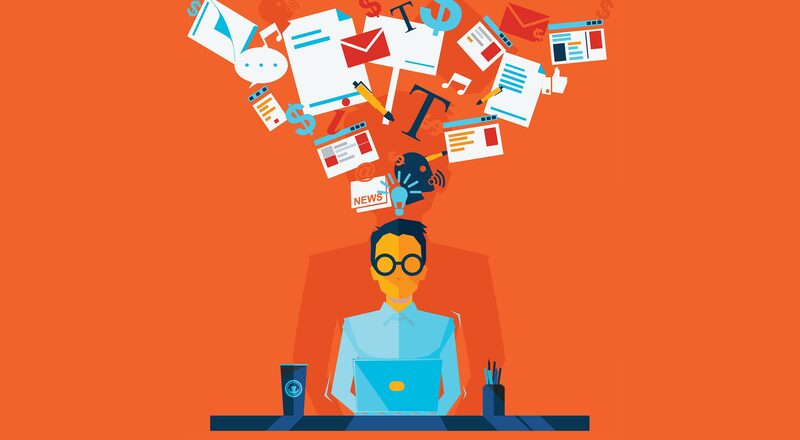 Featured image, ecommerce image via Shutterstock.